Ahmed Taha concentrates his practice on commercial arbitration, with a special focus on construction disputes. Ahmed Taha has more than four years of experience in drafting, revising legal memos and legal research. He also has vast experience in arbitration cases appealed before courts. 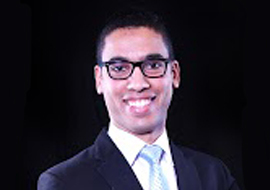 Ahmed Taha was selected as a Teaching Assistant in the Public Finance and Economic Regulations Department, Faculty of Law at Beni-Suef University, where he graduated from the English Section, ranked the 1th of his class (2009 – 2013). Ahmed Taha joined Badran Law Office as a Trainee in December 2014, becoming a Junior Associate in March 2015, then an Associate in January 2019.